Skype was not kind to us this week. It took about 8 different calls to get this episode recorded. It’s not all bad because we all got to say “hi” to each other several times so that was fun. This episode was mostly about bad games and there’s a lot of them. So many that I’m sure we’ll do a Volume 2 of the same topic some day in the future. 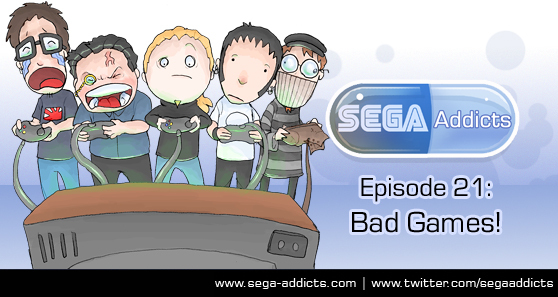 Sega Addicts record episode 40 next week!